In a little less than a month we, at Fellows Creek, will be hosting our branch of the World's Largest Golf Outing. On Monday, August 6th, at 9am we will have a shotgun start for this outing. This outing is designed to get as many people together across the country as we possibly can to raise money for a great cause--Fisher House Foundation. There will be roughly 150 courses across the United States working together to reach for the stars in attempt to garner $1,000,000 in donations. The Fisher House Foundation intends to use the donations to build a new house to serve our military families. Fisher House Foundation puts families up near hospitals where their loved ones are being treated. This great organization strives to help families of our military whether the service personnel suffered injury from service or illness. Donations will come from various sources throughout the next few weeks. 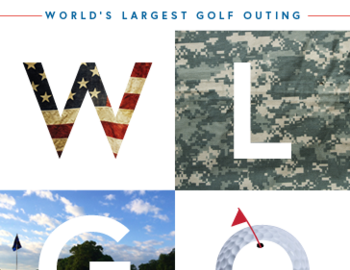 If you are a golfer, or even willing to give it a shot, you can sign up a team at worldslargestgolfouting.com. A portion of your registration will automatically be donated to Fisher House, and once your team is signed up you'll have a webpage you can direct friends, family, and even enemies to where they can add additional donations. We can also accept donations at our registers at the course at any time. Lastly, we will have a variety of ways to donate on the day of the outing (mulligans, closest-to-the-pin, raffle prizes). If you would like to donate raffle prizes or be a hole sponsor for this event please reach out at jleblanc@fellowscreekgolf.com. Please help us provide for the families of those that serve our country!